Mayan Religion consisted of a polytheistic set of beliefs which involved more than 100 gods and goddesses. This was naturally accompanied with a rich mythology in which gods interacted with each other like mortals. These myths also explained the origins of the world and other aspects about humanity on this earth. In Mayan mythology, tales depicted the forces of nature, deities, and heroes interacting with each other and playing their respective roles in sustaining the world. Much of the framework of Mayan mythology and religion was laid down during the Terminal Pre-Classic Period. This was in part influenced by the previous civilisations, particularly the Olmecs but the Mayans developed their own variation of religious stories and rich mythology. 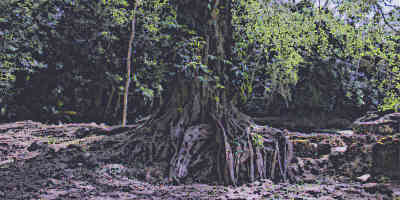 Mayan Mythology, like other aspects of Mayan civilisation, was fully developed during the Classic Period of the Mayans. A lot of information about Mayan mythology comes from codices and hieroglyphs from this and later eras. Mayan Mythology had a rich range of myths dealing with different aspects of nature. However, there were some famous myths that were mainly related with the creation of the world and celestial objects. According to the Mayan creation myths, the gods created sky and earth before everything else and then created animals and birds. Gods then wanted to be worshipped but animals and birds could not speak. So gods destroyed them and created humans. However, the first two attempts did not result in best humans god wanted to create and thus he had to destroy humanity twice. Finally, in the fourth attempt, gods were finally able to create the right kind of humans. Various rituals that were performed during the religious ceremonies and festivals of the Mayans were related to Mayan mythology. For instance, the ritual of bloodletting which was performed on almost all religious festivals emerged out of the myths that gods had put humans on the earth to nourish gods. Similarly, the practice of sacrifice was done because of the mythical belief that gods had sacrificed their body parts in order to create humans. Related to the creation and end of the world, Mayan mythology had a cyclical concept of the world. According to this concept, at the end of the each time cycle, gods destroyed the world and then it was created anew. The destruction was usually done by collapsing the sky or caused by a great flood. The world was then re-created by the raising of the sky and erection of the five World Trees. The last and the fourth period in this time cycle began on the 11th or 13th August 3114BC and ended on December 22, 2012. Creation of mankind is one of the most interesting aspects of Mayan mythology. According to this myth, gods were able to create the right kind of human after several failed attempts. They first used earth and mud to make the human body but this experiment failed since the body would dissolve and disintegrate every time. 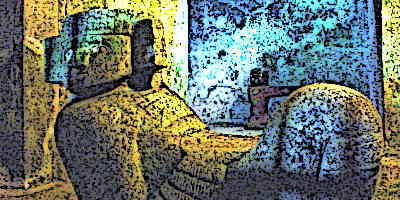 Next they created humans with wood but gods were not satisfied because this kind of humans as they did not worship gods. Thus they were also destroyed through a great flood. In the fourth attempt, gods were finally able to create right kind of human using corn mixed with water. Humans made this way were too perfect so gods had to take away some of their powers. Other than gods and deities, Mayan Mythology also describes the lives and glorious achievements of various heroes. 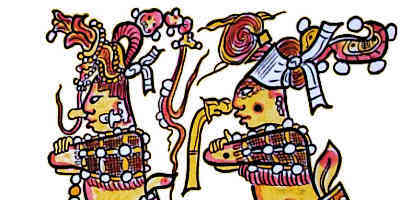 The myth of the hero twins, Hunahpu and Xbalanque, is particularly famous. Both these brothers defeated the bird demon and the deities of death and disease. 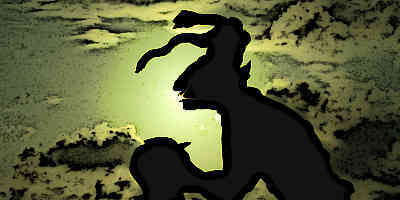 Another myth features the maize hero who defeated the deities of thunder and lightning and established a pact with them. This and other myths were recorded in Popol Vuh or the “Book of the Council”. In Mayan mythology, there is a story of earth’s marriage that basically depicts the relationship between humans and the game and crops. According to the story, an ancestral hero Xbalanque changed into a hummingbird to woo the daughter of the earth god. The hero gets his wife but she is transformed into maize, insects, bees, and game. This formed the relationship between the hero and the earth. Mayan mythology about the origins of the sun and the moon varies to some extent, although the central characters remain the same. The myth revolves around an unnamed Younger Brother and his Elder Brothers. The Elder Brothers were jealous of the Younger Brother and gods transform him into the Sun and the Elder Brothers into wild pigs and other animals. The mother of the Younger Brother is transformed into the Moon. In another variation of the same story, the Elder Brothers are transformed into monkeys and the two Younger Brothers become the sun and the moon. There was not any comprehensive record of Mayan mythology when the Spaniards arrived in the Americas. Thus a lot of mythology was collected and re-constructed from scattered hieroglyphs, oral sources, and depictions on the temple walls etc. However, sometimes it becomes difficult to tell which of the depictions constitute a mythical scene and which represent a ritualistic sequence or simply a scene from everyday life. A lot of valuable information came from the decipherment of the hieroglyphic material which continues until this day. Mayan Civilisation thrived in the Yucatan Peninsula particularly during their classic period which extended from 250AD to 900AD. During this period, they made impressive advancements in culture and society. They developed rich mythology surrounding around their polytheistic religion which established the relationship between the gods and the worlds. The myths are used to explain the creation of the world and the celestial objects and the end of the world. Different stories in Mayan mythology tell about the origins of the sun and the moon, about the creation of humans, about various Mayan heroes, and different aspects of nature. A lot of information about Mayan mythology was collected from fragmented hieroglyphs and depictions on mayan temple walls.